We are happy to introduce Luis Seguinot, MBT to the Jade Mountain Acupuncture and Wellness family!!! Luis is a New Jersey State Licensed Massage Therapist, and is currently apprenticing to specialize in an Asian Bodywork Therapy style of massage, called Tui Na. 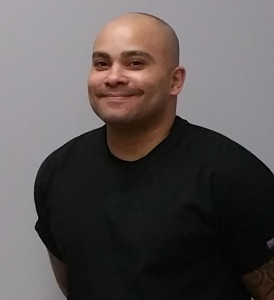 Luis is an exemplary massage therapist at Hands & Stone Massage and Facial Spa, and we are fortunate to also have him treating patients and customers at our center. Luis is currently accepting appointments on Saturdays, and will soon be available during the week. Call our center to schedule an appointment with Luis.